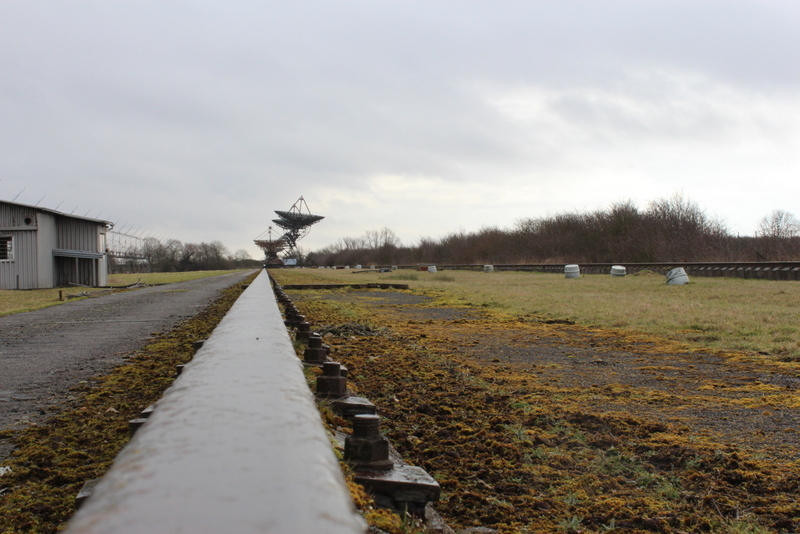 I wanted to visit this site since I've seen Boba Low report on here :) After a long journey, I finally arrived there on rather gloomy and rainy morning. 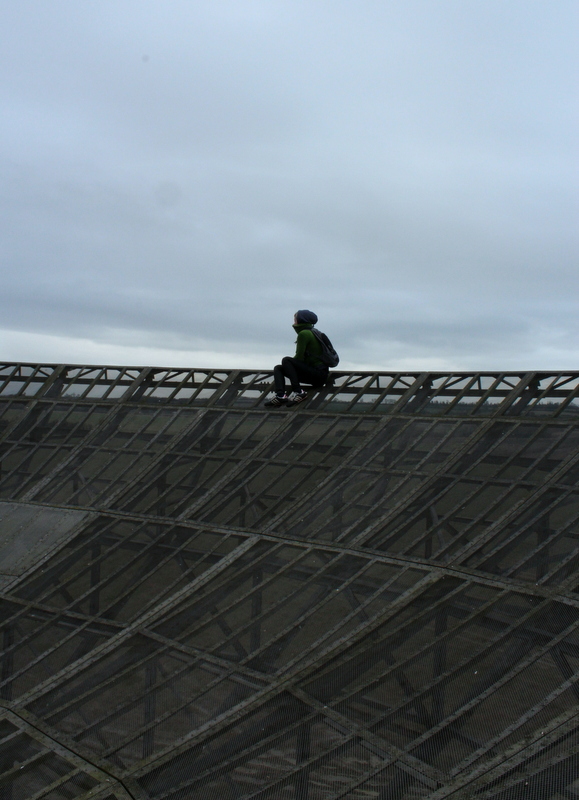 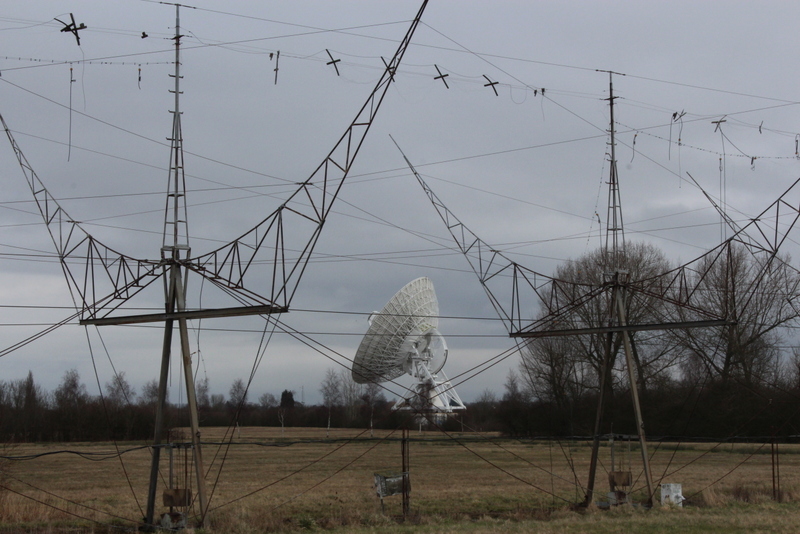 There is around 12 radio telescopes, 7 of them are disused. 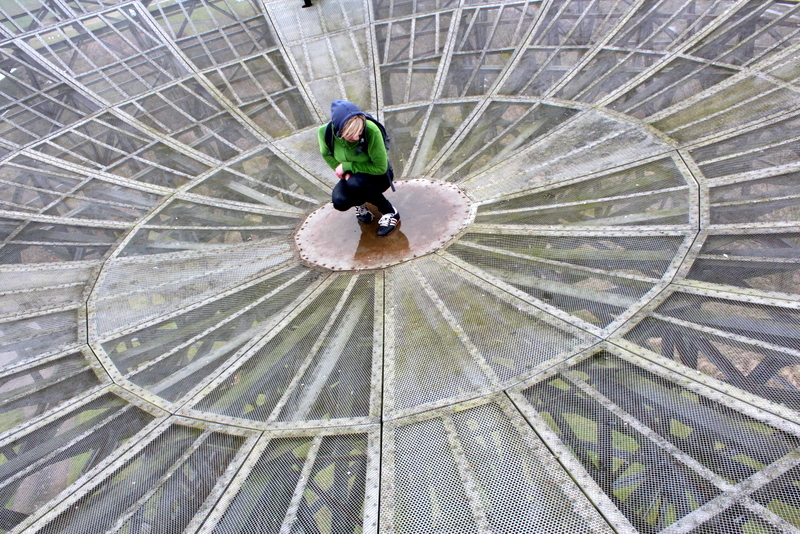 I headed to One-Mile Telescope first, hoping that it wouldn't start raining again. 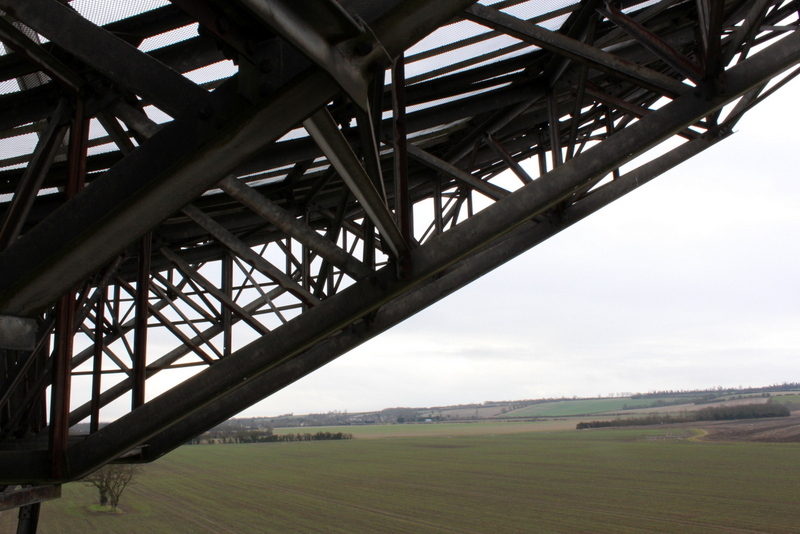 Didn't bring tripod up there which I regreted later on after having problems with attaching my camera to something stable. 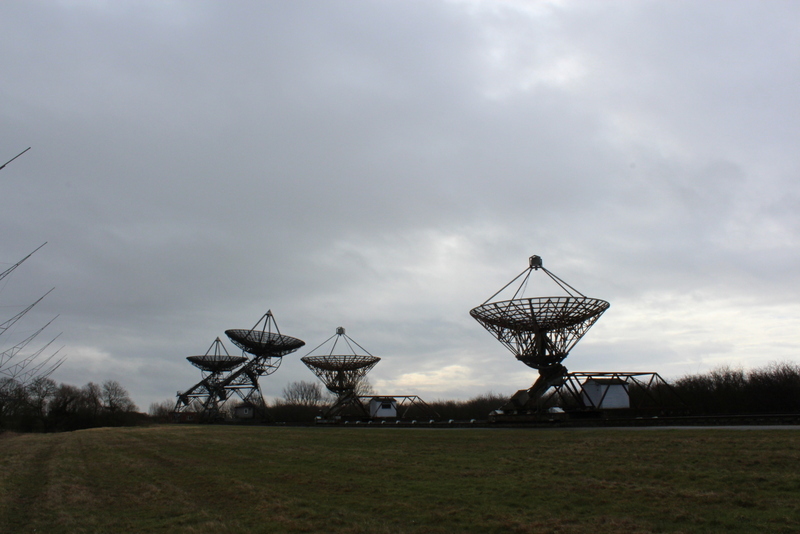 Mullard Radio Astronomy Observatory (MRAO) is home to a number of large aperture synthesis radio telescopes, including the One-Mile Telescope, 5-km Ryle Telescope, and the Arcminute Microkelvin Imager. 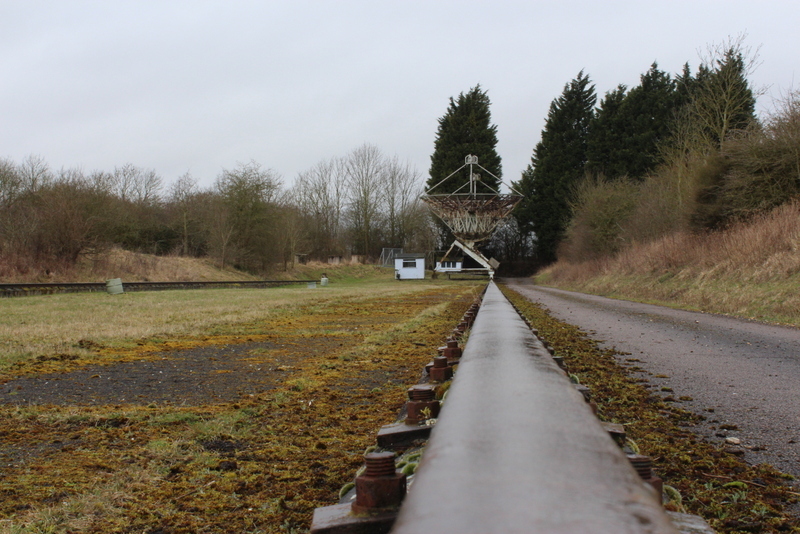 Radio interferometry started in the mid-1940s on the outskirts of Cambridge, but with funding from the Science Research Council and a donation of Â£100,000 from Mullard Limited, construction of the Mullard Radio Astronomy Observatory commenced at Lord's Bridge, a few kilometres to the west of Cambridge. 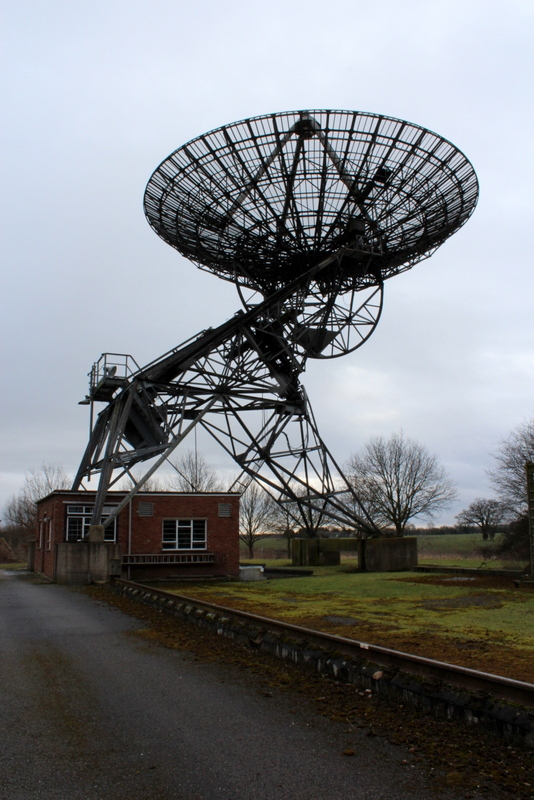 The observatory was founded under Martin Ryle of the Radio-Astronomy Group of the Cavendish Laboratory, University of Cambridge and was opened by Sir Edward Victor Appleton on 25 July 1957. 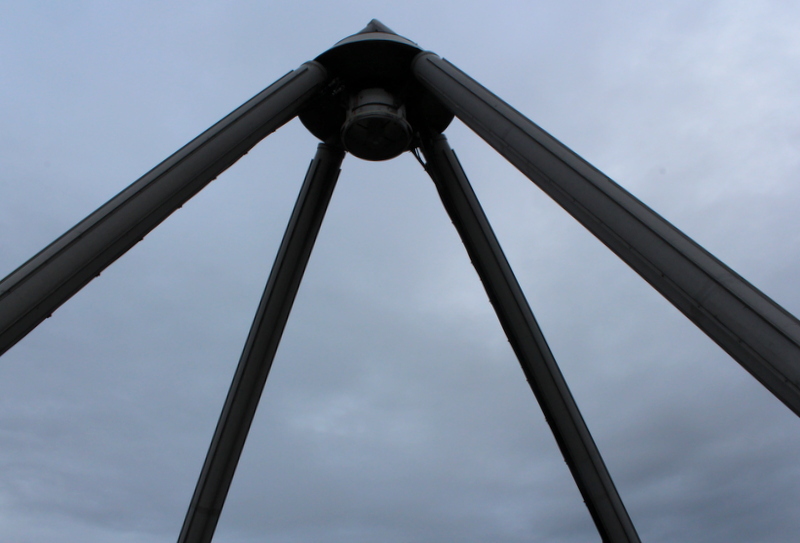 This group is now known as the Cavendish Astrophysics Group. 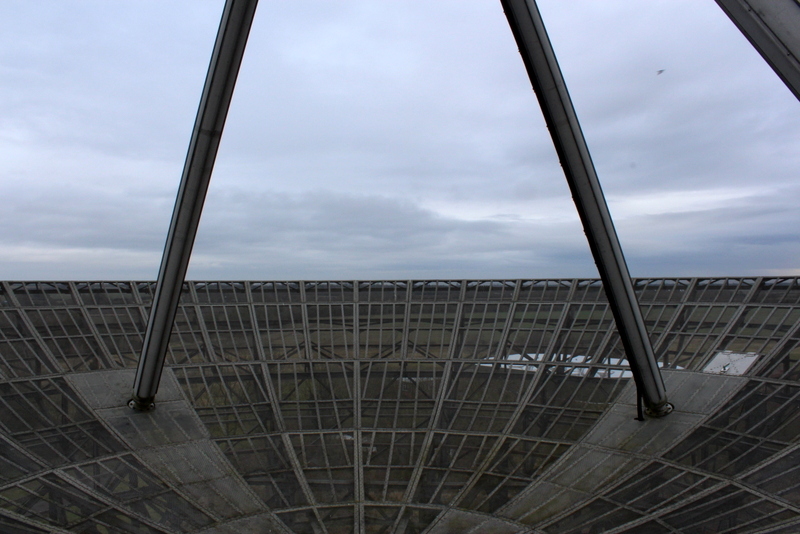 The One-Mile Telescope at the Mullard Radio Astronomy Observatory (MRAO) is an array of radio telescopes (2 fixed and 1 moveable, fully steerable 60-ft-diameter parabolic reflectors operating simultaneously at 1407 MHz and 408 MHz) designed to perform aperture synthesis interferometry. 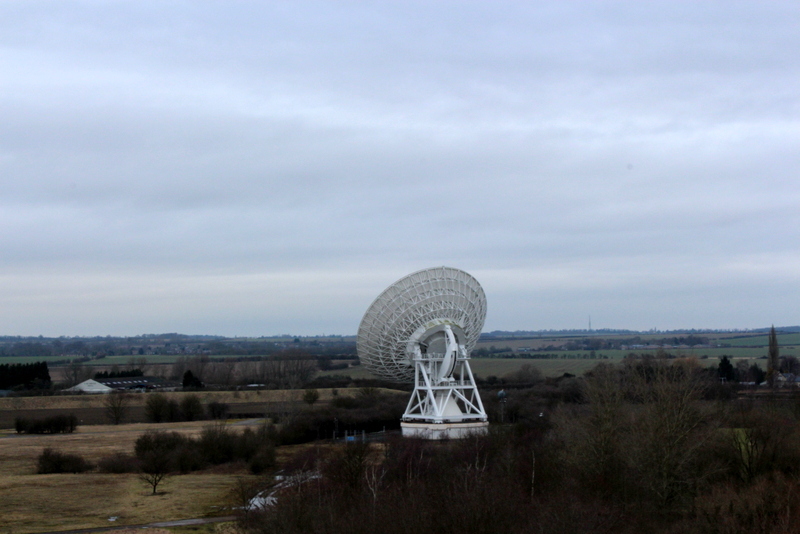 The One Mile Telescope was completed by the Radio Astronomy Group of Cambridge University in 1964. 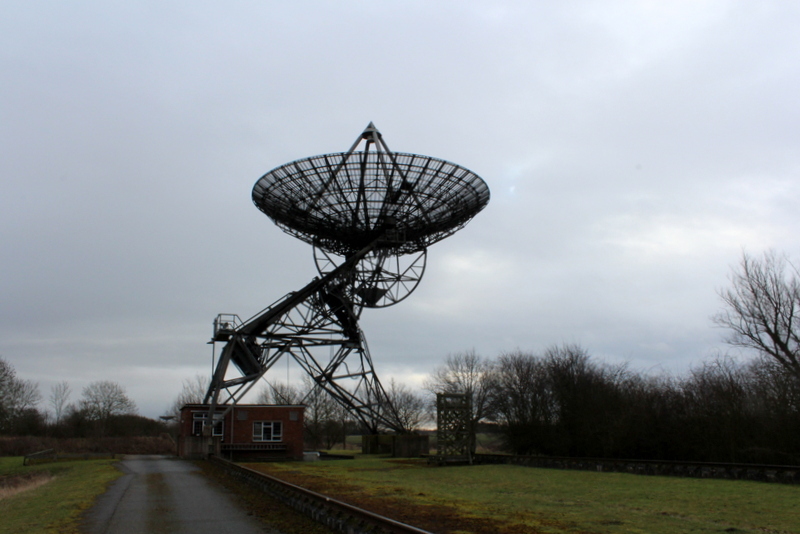 The telescope was used to produce the 5C catalogue of radio sources.Observations with larger incremental spacings were used to observe individual radio sources with unprecedented sensitivity, angular resolution, and image quality. 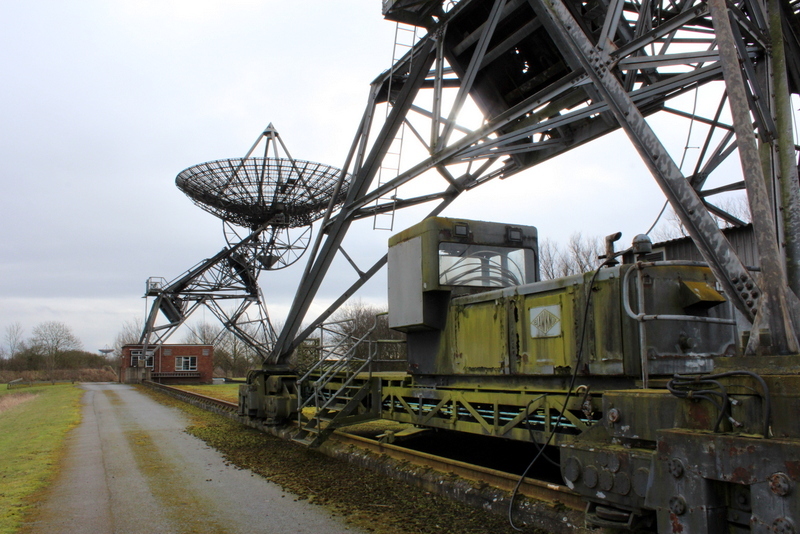 Over a 20 year career, the telescope was used to map individual objects, and to do several deep field surveys. 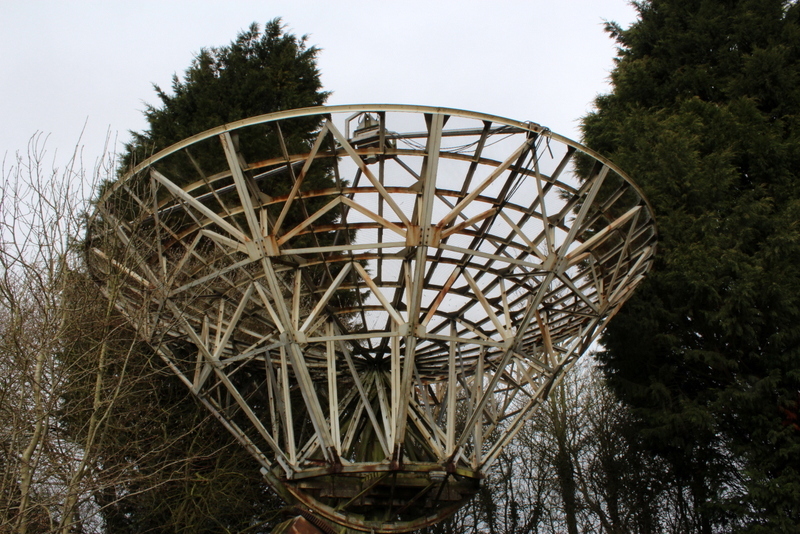 Though still occasionally used, it is now essentially retired. 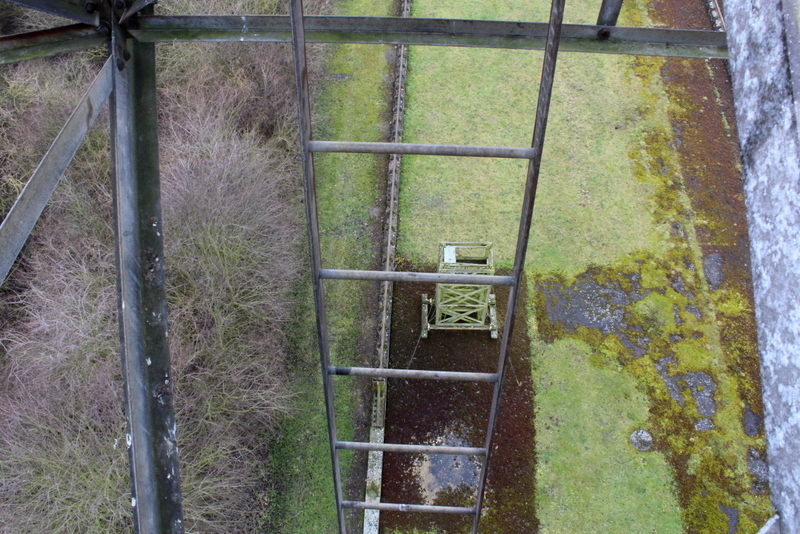 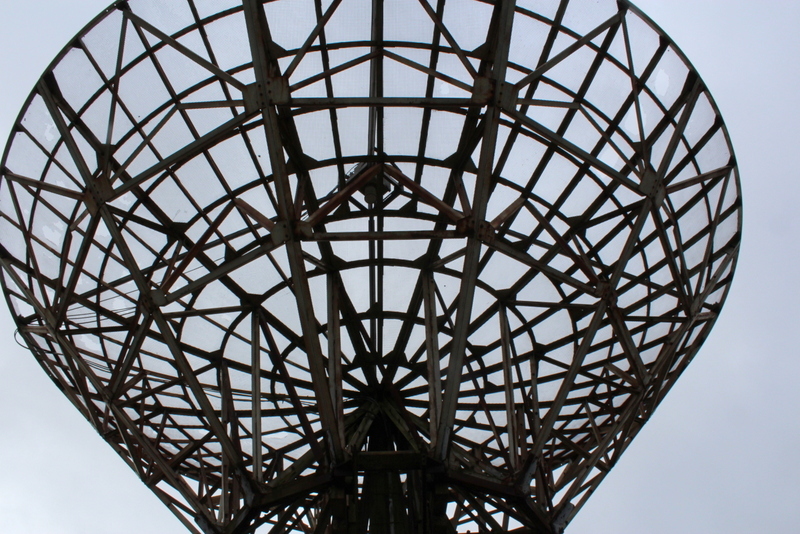 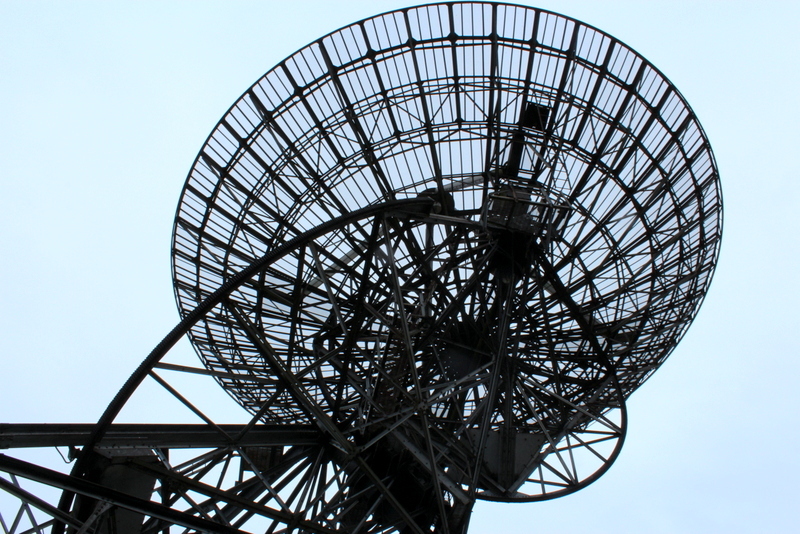 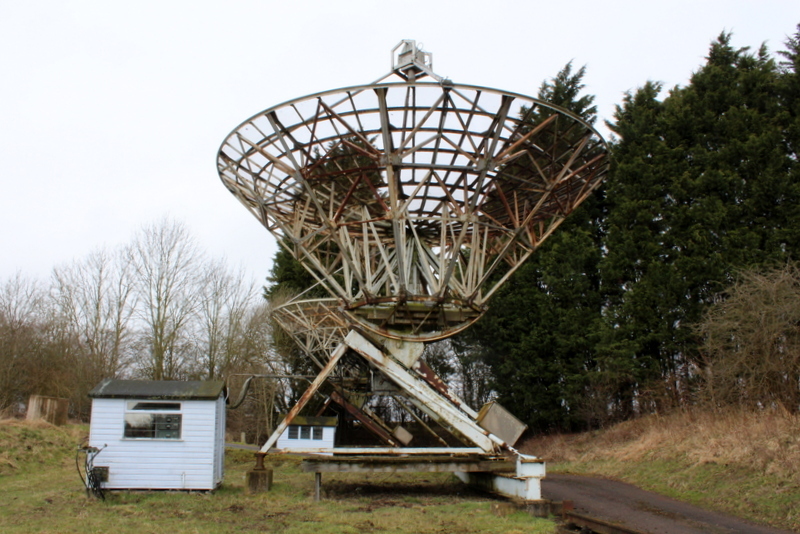 The Half-Mile Telescope was constructed in 1968 (2 aerials) at the Mullard Radio Astronomy Observatory with two more aerials being added in 1972, using donated dishes (total cost was Â£70,000). 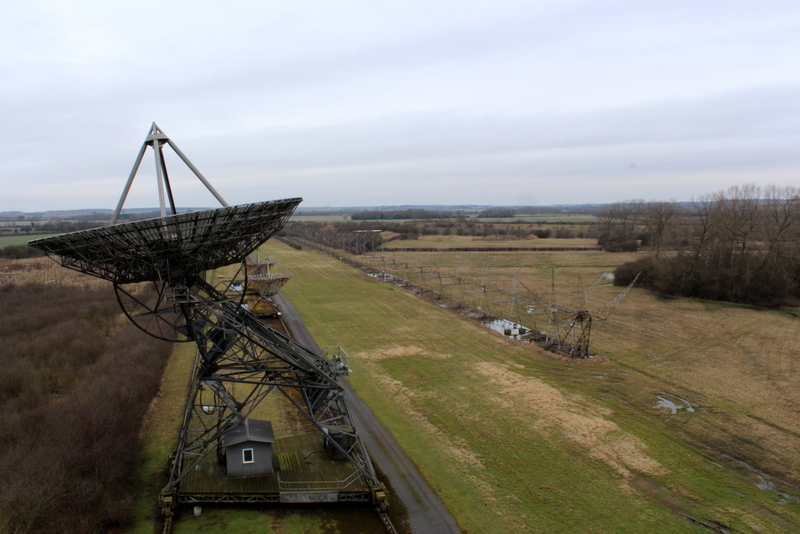 Two of the dishes are fixed, while two are moveable and share the One-Mile's rail track; to obtain information from the maximum number of different baselines. 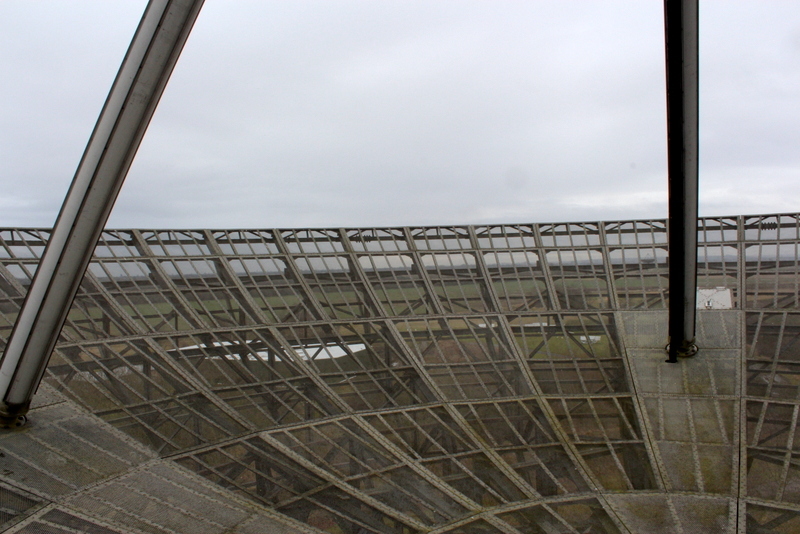 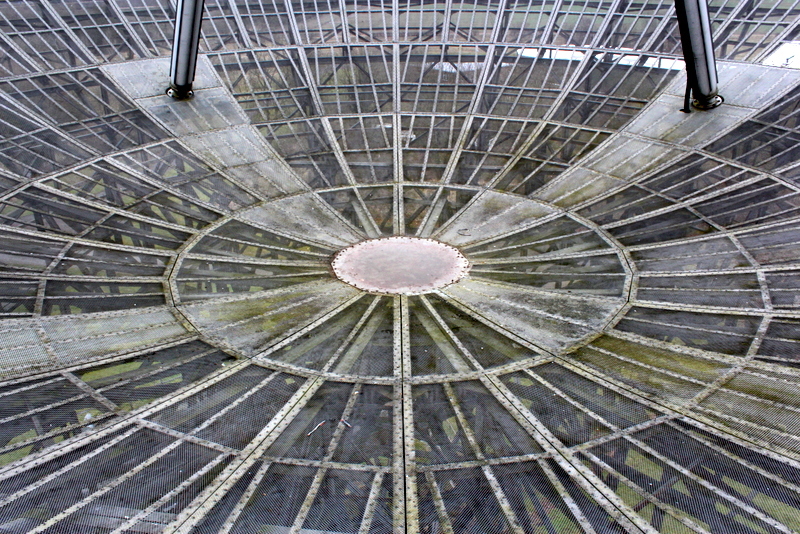 The 4C Array is a cylindrical paraboloid radio telescope at the Mullard Radio Astronomy Observatory. 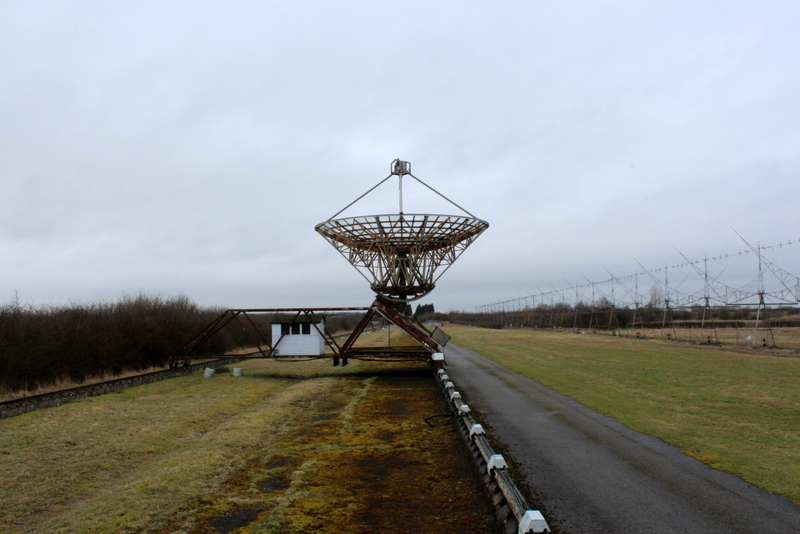 It is flanked to the northwest by the Cosmic Anisotropy Telescope enclosure and to the south by the One-Mile and Half-Mile Telescopes. 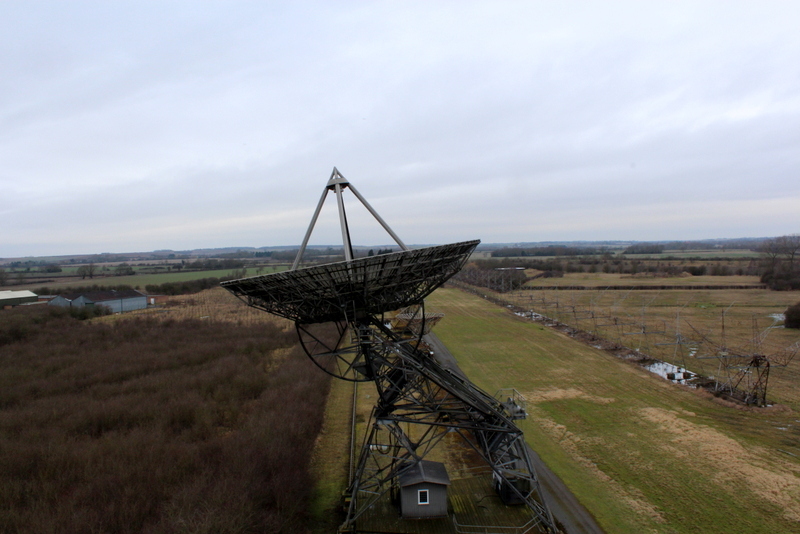 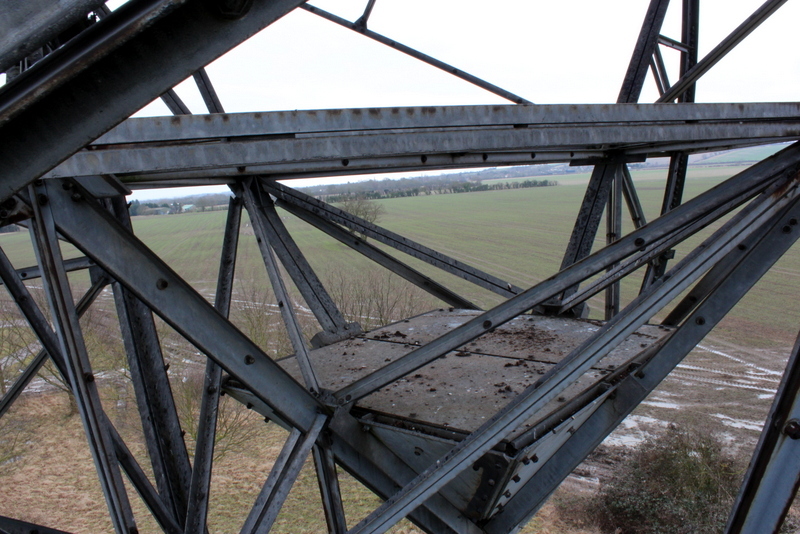 MTRLI was renamed to MERLIN in the early 1990s, and shortly afterwards the addition of the purpose-built 32 m Cambridge antenna in 1991 increased both the sensitivity and angular resolution of the array. 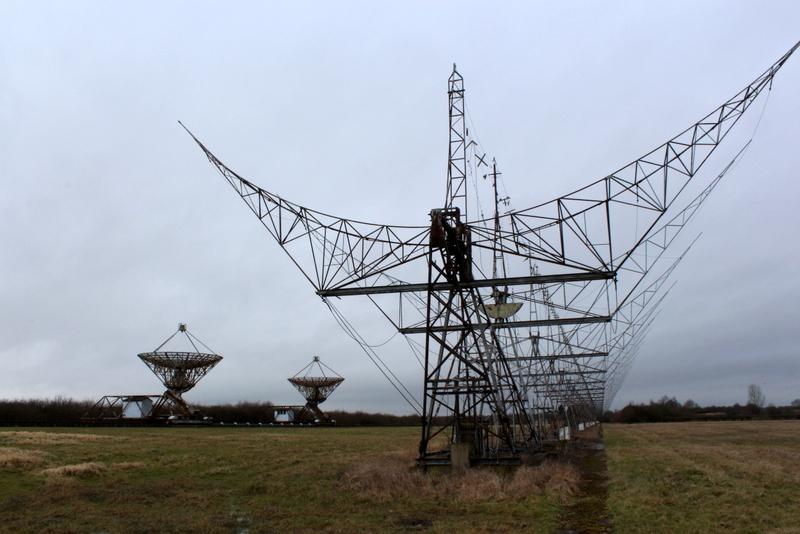 The array also had a new correlator and new, cooled receivers, and some of the microwave links between the telescopes were improved so that the array could observe both hands of polarization. 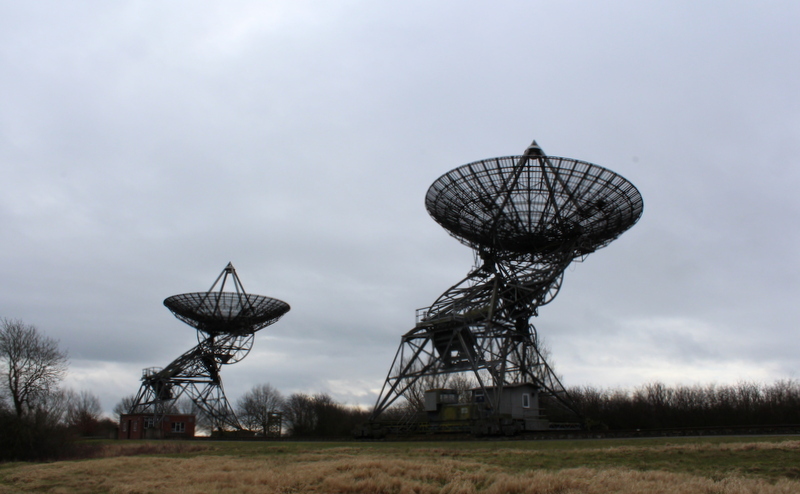 Report - Mullard radio observatory - Cambridgeshire August 2016.